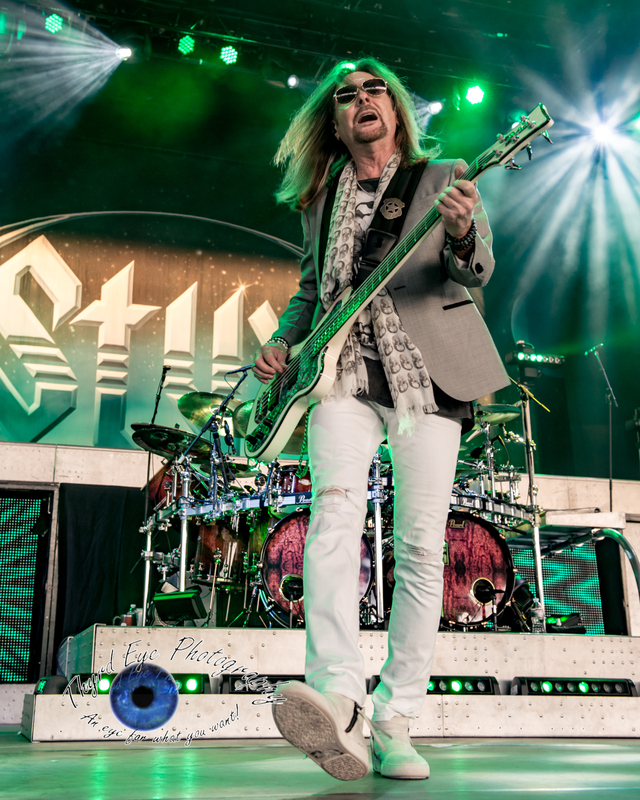 Styx bassist Ricky Phillips performing at the Hollywood Casino Amphitheatre in Saint Louis in 2017. Photo by Sean Derrick/Thyrd Eye Photography. In the mind of this writer, and fan, Styx is the premier American Progressive Rock band. Their most recent album, The Mission, is their first album of new material in over a decade. They’re coming to St. Louis on July 8, with special guests Tesla and Joan Jett. The Mission is an absolutely brilliant concept album about a journey to Mars. 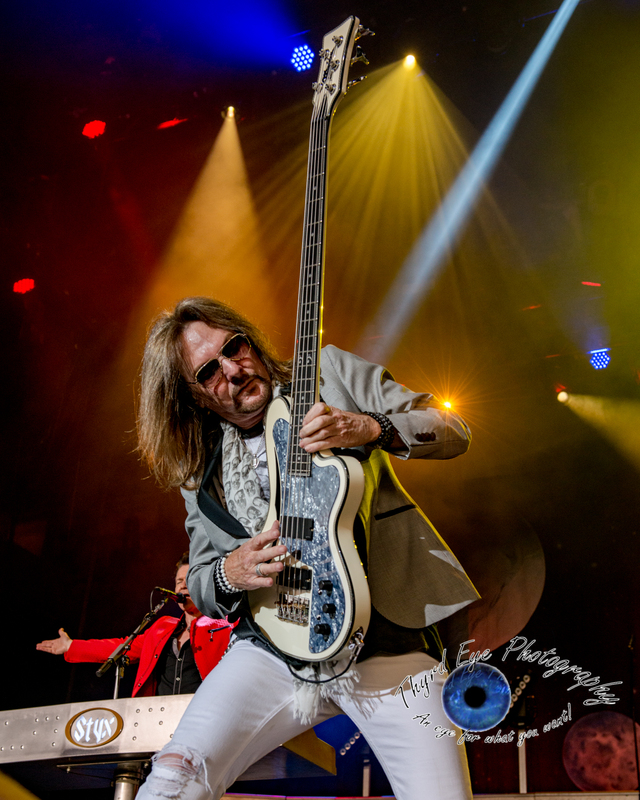 I recently had the privilege of speaking with Styx bassist Ricky Phillips. We talked about the new record, the band, and a couple of other things. Me – I’ve got to tell you, I’ve listened to this record many times, and, sonically, lyrically, musically, you guys have still got it. Ricky – Well, thank you Michael. That’s nice of you to say. Yeah, this kind of came out of left field. Tommy had the idea, ran it by us, and it sounded kind of corny at first, to do a concept record in this day and age. But, you know the reality of the situation is, in our lifetime, we’re going to experience space travel to the planet Mars, and so, instead of it being some sort of a sci-fi fantasy, it’s going to be a reality. Tommy actually developed a relationship with NASA, which is kind of cool, because a lot of them come to our shows. He wanted to get the facts right, even though we’re not getting detailed, he wanted to make sure that the song lyrics were actually factual. So, it’s pretty cool. It’s a lot of fun to play the music. It’s a fun ride, and it’s definitely a Styx record. It’s got all those little earmarks, the lush harmonies and instrumentals. Signature changes, but not enough to make you feel like you’re in a music theory class. A lot of melody, and it tells a story. It’s kind of a fun story. It’s really not a story so much about space travel as it is about the people who are involved in these missions. And that’s where most good stories begin and end. It’s done very well. The week before last we were #64 on the Billboard chart, and it was just such a pleasant thing to have this be a success and people receive it so well. It’s very cool. 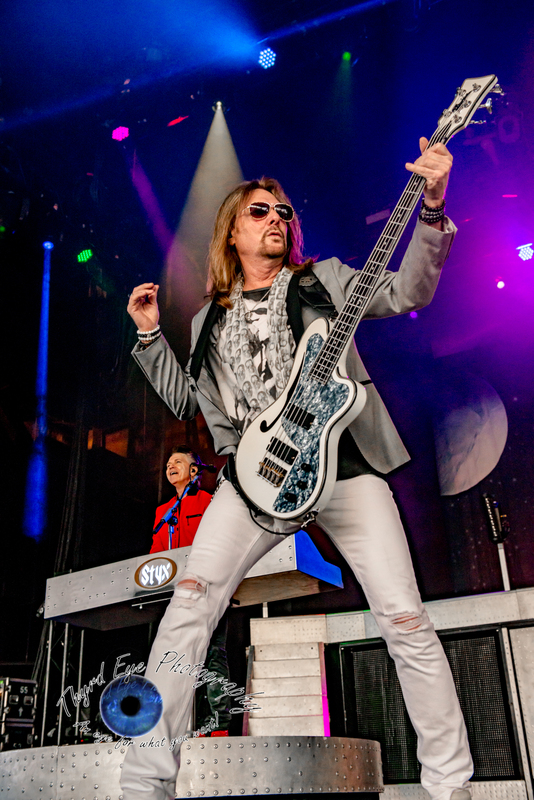 Styx guitarist James Young and bassist Ricky Phillips performing at the Hollywood Casino Amphitheatre in Saint Louis in 2017. Photo by Sean Derrick/Thyrd Eye Photography. Ricky – Yeah. If you go back to a song like “Fooling Yourself” it’s got a spirit of ‘come on, get over yourself, let’s get on with this.’ It’s a positive attitude. It’s looking at the world in a positive light. Whatever your situation is, you’re going to get much more out of your investment if you tackle it and go after it with a positive nature. Otherwise, you’re just on a downer. So, I think what you’re saying is a point well made, that The Mission is a continuation of that positive approach to life itself, and the challenges that you meet along your way. Me – So, Styx has been around for a long time. What’s your audience like today? Original fans, their kids, maybe even their grandkids? Ricky (laughing) – Sure. We have the luxury of playing and staying out on the road. We have a great crew, so we like to keep them employed. We stay out year round. We take two or three week breaks every so often. Now, through the summer and into the fall, we’ll be playing large rock venues. In the wintertime we’ll play a lot of theaters, we’ll play a Hard Rock Café, there’s certain places and venues we like to go back to. We’ll come into town, play one night in a club, and then we’re off. We have fun doing that because we get to go back to where it all started. The audience is different in all those venues. In July and August we’ll be playing a lot of county and state fairs, and the kids can come in because the price of a ticket to the fair sometimes allows you to see the band, and we look forward to those shows. We look forward to seeing the young people because, quite honestly, we see people who are now in their thirties who were once holding up signs saying ‘I’m eight years old and I love Styx.’ We see those people, and we’ve watched them grow up. Our fans are very loyal, and they’re all ages. It’s something we think about and encourage. It’s kind of cool. We see parents, grandparents, big brothers and sisters, aunts and uncles, sharing our music with kids because it does have that positive theme. So we have this legion of all ages. We all get emails ‘hey, I’m bringing my granddaughter. Will you be doing (this song) tonight?’ It’s cool to see that interaction. Me – You guys have been touring with REO Speedwagon. I know Styx and REO go way, way back. That’s got to be a lot of fun. Ricky – It’s really cool. Dave Amato, the guitar player with REO, he and I go back 30 years, to playing in Los Angeles, playing on certain projects and in the studio. I play golf with Bruce Hall on days off. Don Felder and I play golf on days off. It’s really nice when you have a group of guys that also get along. At points during the tour we’ll find a city on a night off, and we’ll take our crews out, and the truck drivers, and we’ll get them fat and happy and pour some alcohol down their throats, and just get everybody out of backstage and out of hotels and just have a nice evening where everybody can enjoy each other’s company and have a good time. It’s kind of a grind, on the road, for most people. Don’t feel too sorry for us, though. The bus is a luxury liner, and it’s stocked with our favorite foods, we’re not suffering too much. All the comforts of home are there. But, sleeping in two beds every night, one on the bus and one in the hotel when we get there, but the wives and girlfriends would rather not go along for the ride. We understand that. It’s not for people who haven’t been doing it all their lives like we have, but we enjoy it. Me – I’m glad you brought up Don Felder. I know he’s been occasionally appearing with you on this tour. How did that relationship come about, and what’s it like being onstage with one more absolutely phenomenal guitar player? Ricky – I’ll never forget the first night we did play with Don. I don’t remember the other band that was playing with us, but I remember all the guitar players running out, because they didn’t want to miss Don during his set. The setting isn’t important, it’s just that he’s written, and performed, and recorded some of the most iconic guitar parts, and you know some of them, but when you actually see Don play those Eagles songs, and you hear him play all those amazing guitar solos, and guitar parts, certain guys just have it. His execution in the bands he’s assembled is just dynamite. Tommy goes out and plays “Hotel California” with Don and does the double guitar thing, and Dave Amato, the three of them have been going out and doing it recently. It’s a lot of fun. Don is amazing. We do a thing in Las Vegas every January, Don and Styx, and we are the Eagles for Don. We’re his band and we play some of those songs for his set, and then we bring him out for our set and he plays some of our songs. About five years ago, when Don put his band together, he approached our manager, and Charlie said let’s test the waters and see if we hit a home run. It seems to be a collateral thing, that our fans dig Don and his fans seem to dig Styx, so it’s been a lot of fun. Me – And I think Don is one of the real class acts in the business. Ricky – I have to agree, and he’s very consistent, night after night. Me – You’re coming to the Hollywood Casino Amphitheater in Saint Louis on July 8, with Joan Jett. Have you ever worked with Joan before? Ricky – Never have. It’s something that came to us, I believe, from our agency, and they were pitching us stuff and we were like ‘nah, nah…,’. We’re at a point in our career where there’s some obvious things, like REO, but we don’t want to do, except when there’s a friendship, the obvious pairings. We don’t want to turn it into an old folks night. Do a little something different. Give the fans something so see. Introduce our fans to something different and, hopefully, introduce their fans to our band. This was pitched to us, and it was like WOW, that’s coming out of left field and, yeah, let’s do that. Joan’s got the same attitude as us. She’s a blast, she’s great. Everyone I’ve spoken with speaks very highly of Joan. She’s got a lot of very cool songs and tracks, there’s more hits there than you recall. It’s going to be fun. I’m really looking forward to it. Tesla is also on that bill and, whenever we’ve worked with them, and they’re really a great, great band. That’s a rock band. They’re from Northern California, I’m from Northern California, and there’s just something about rock and roll coming out of Northern California. There’s a lot of great players. Journey and Neal Schon. Tesla is a band that everybody seems to like. There’s always a lot of positive feed back from my friends. Tesla tears it up, they’re a great band and they still play like that. They still have the fire, the vocals, the guitar players, it’s all great. They set the mark, the tone for the evening, and it grows from there. We like that. We feed off that. As soon as the gate opens, and it’s showtime, the level has to be set high. Tesla does that. Me – I want to end with a little bit about Rock to the Rescue, the charity that was started by Tommy Shaw and Kevin Cronin shortly after the September 11, 2001 terrorist attacks. You guys have raised a ton of money for some great causes. Do you know yet who you’ll be raising money for in St. Louis? Ricky – It really has turned out to be such a sweet thing. We raise money for small charities around the country that don’t really get people reaching out to them. When we go into a city, and we’re in control of the situation, we’ll contact a small charity. Something that’s local and doing good things, and we’ll auction an autographed Styx guitar from the stage. Half of that money goes to Rock to the Rescue, and the other stays there, in that town. It’s been very successful. People really appreciate it, and they get really fired up about it. We never thought it would last this long, but we’re happy to help some people in every town we go to. It’s a $10 ticket when we auction off the guitars. It doesn’t break the bank for anybody, so how cool is that? Across the board, it goes for all kinds of things – children’s causes, senior citizens causes, animal rights causes – whatever it is, at the end of the year, it makes us very satisfied. Me – And finally, is there anything special you want to say to your fans in St. Louis? Ricky – It’s going to be great. Styx, Joan, Tesla – we’ll be firing on all cylinders, and it’s going to be amazing. It’s going to be a good time, and you’re going to see a lot of fresh energy, because this is the first time we’ve all been together. One new element, like Joan, really brings some fire to the stage. We all feed off each other. It’s going to be a great time. 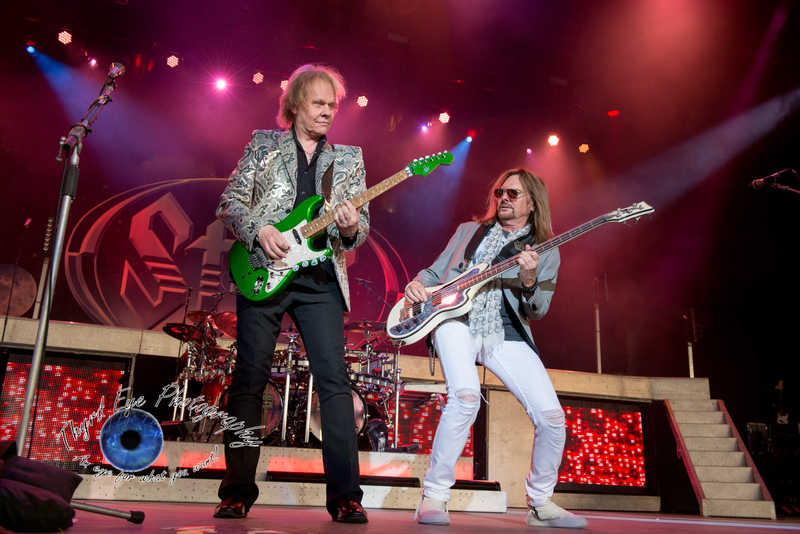 Again – Styx, Joan Jett, and Tesla will be at the Hollywood Casino Amphitheater on July 8. Tickets are available at http://amphitheaterstlouis.com/hollywoodcasino/Tickets-Active.php?eventID=2617892&venueID=4904. Bring a few extra bucks and buy at least one ticket to win the autographed guitar. For more information on Rock to the Rescue, go to http://rocktotherescue.net/. 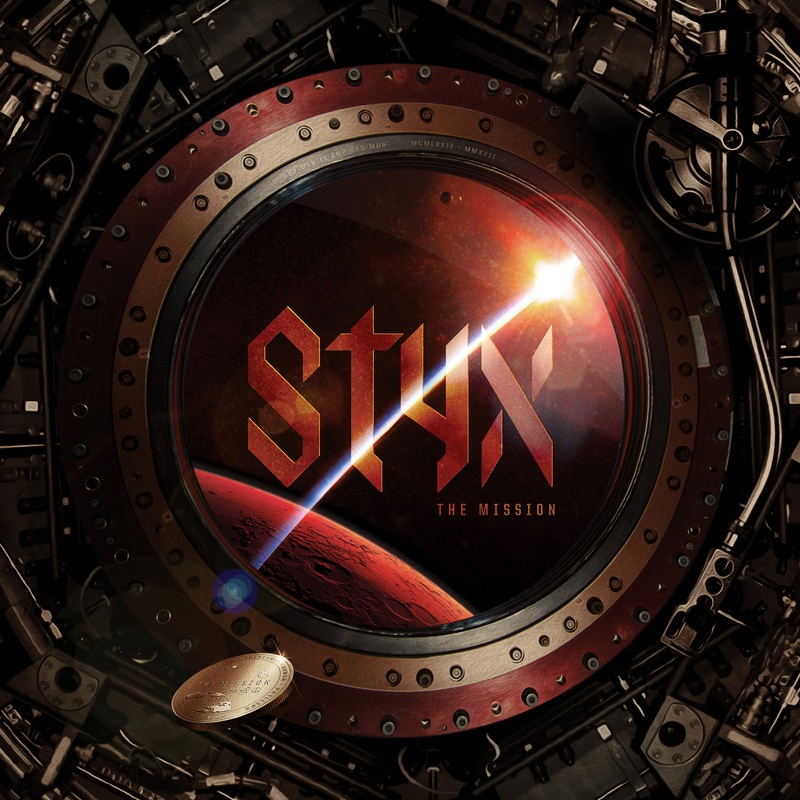 The Mission is a must have for any Styx fan and can be purchased just about anywhere CD’s are sold or online at iTunes, Amazon, Spotify, or even the band’s website . Thank you for this great interview. Styx ROCKS – Nothing can lift my spirits, no matter what else is going on, better than this iconic band. And I have to give a shout-out to The Mission – Awesome, just wish it was longer, because I just can’t get enough of it! They’re still creating magic, after all these years, these amazing artists. Love them all. So pumped – I’m seeing them in June in GA!